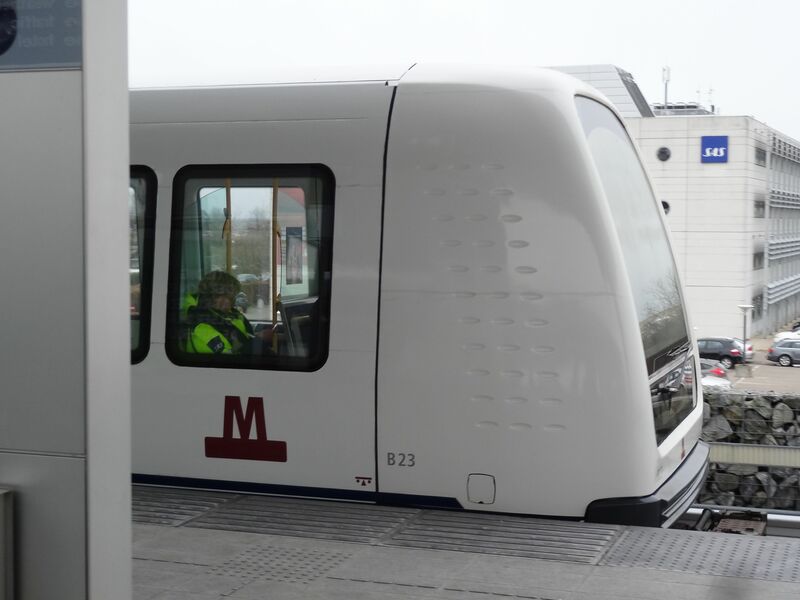 In addition to the S-train system, K�benhavn also has a metro system consisting of two fully automated lines M1 and M2. Construction started in 1993 and the metro system was opened in 2003. The trains are totally driverless and they run on 750 V DC currency from a third rail. 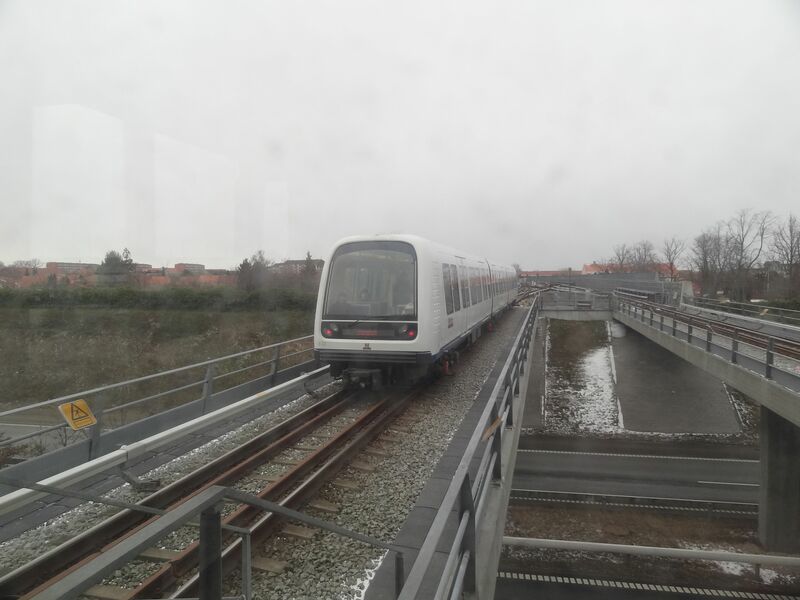 Two more lines are being constructed and since 2007 metro also connects the city center to the airport at Kastrup. 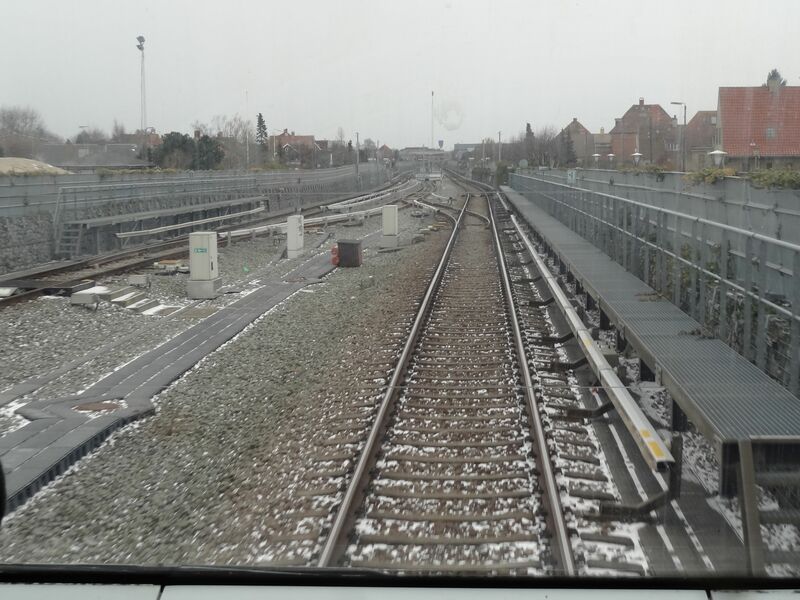 In this picture we see one of the automatic trains approaching Amager strand station. Picture 19.3.2013 by Ilkka Siissalo. 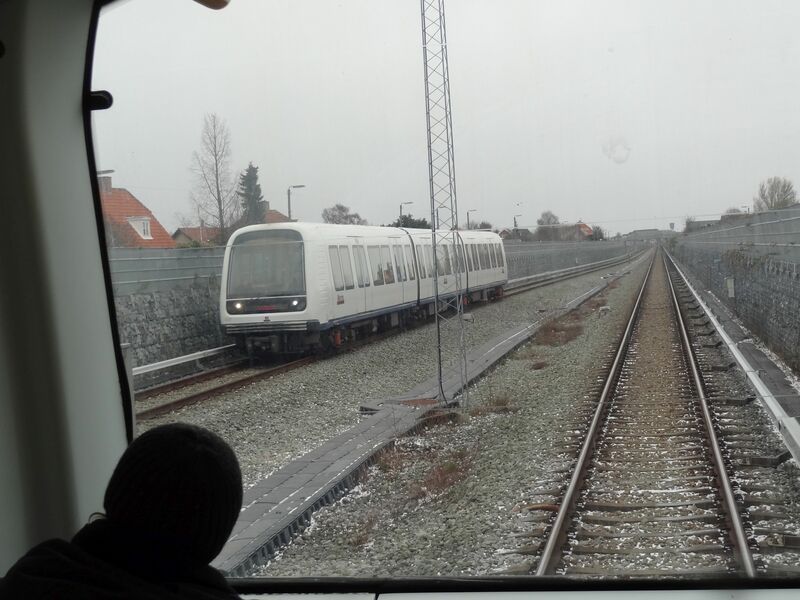 One of the automatic metro trains leaving Copenhagen airport station in Kastrup. Picture 19.3.2013 by Ilkka Siissalo. Double doors make sure that nobody gets onto the rails from the station. Picture at the Kastrup airport station 19.3.2013 by Ilkka Siissalo. Front part of one of the very modern automatic trains. 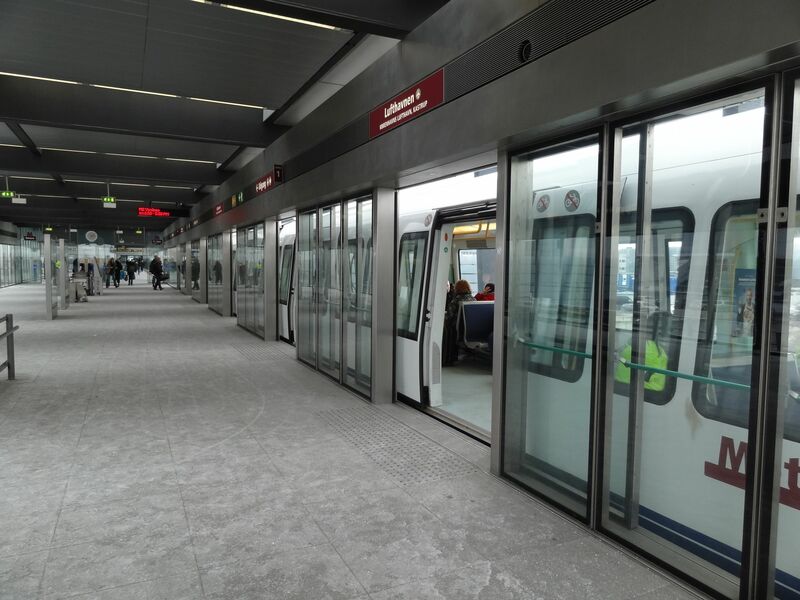 There are 34 of these driverless trains, built by the Italian company AnsaldoBreda. Picture at the Kastrup airport station 19.3.2013 by Ilkka Siissalo. 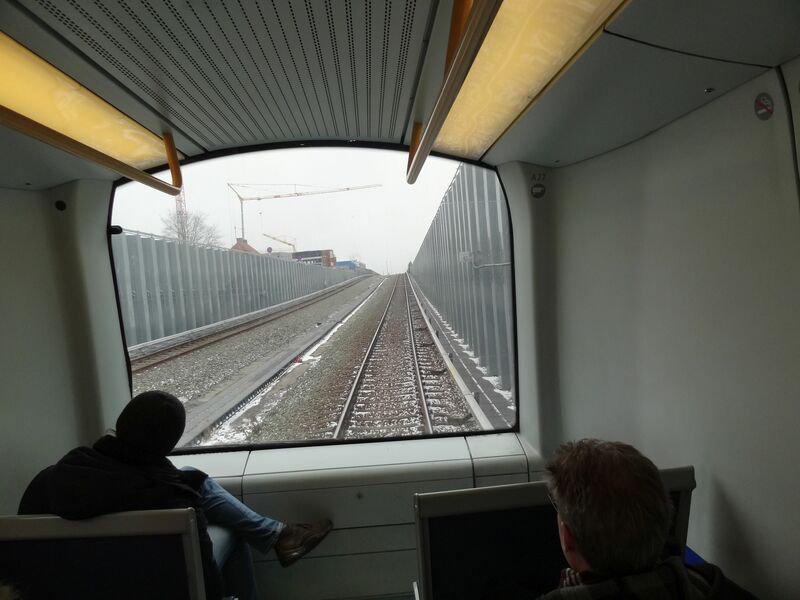 As there is no driver's cab, passengers can enjoy an unrestricted view of the line ahead. Picture 19.3.2013 by Ilkka Siissalo. 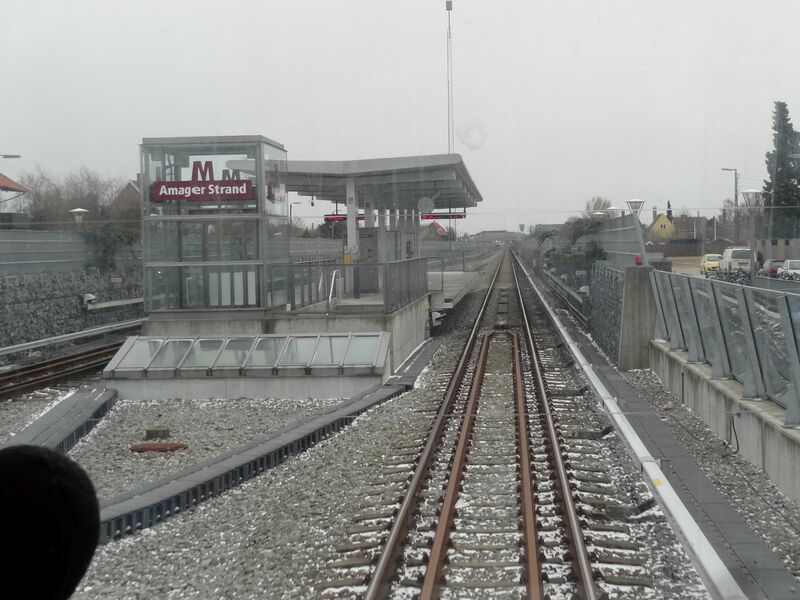 The small station of Amager strand is like an island in front of an approaching train. Picture 19.3.2013 by Ilkka Siissalo. Smallest stations like Amager strand do not have double safety doors like the main stations do. Picture 19.3.2013 by Ilkka Siissalo.